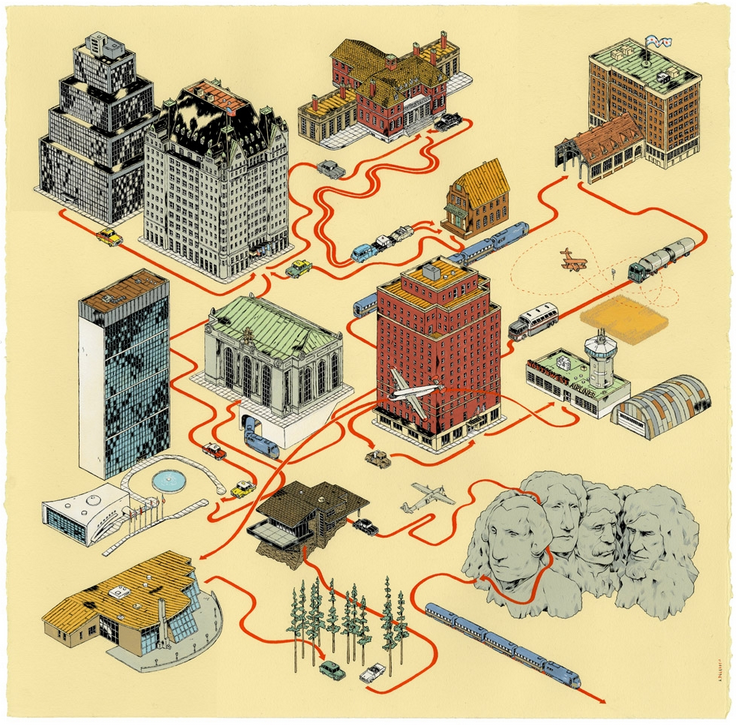 Illustrator Andrew DeGraff is clearly a gifted artist. Check out his maps, many of which capture - in one remarkable image - the essence of classic films. Notice how the locations and the paths of the leading characters, crammed into one vintage-looking static frame, can conjure a flood of memories and emotions. If you're a student of intellectual property rights, can you make an argument (pretend you are empowered by the copyright holder of the original film) that the illustration above is a derivative work and that Mr. DeGraff should have obtained permission to make his poster? Does the fact that Mr. DeGraff's prints are available for sale in limited editions make a difference? If the author of the film (or the subsequent owner of the right to make derivative works) sued, could Mr. DeGraff avail himself of a fair use defense? What about my unpermissioned copying of Mr. DeGraff's image? Should I be worried about a copyright claim from Mr. DeGraff? What about the fact that this is an educational website?